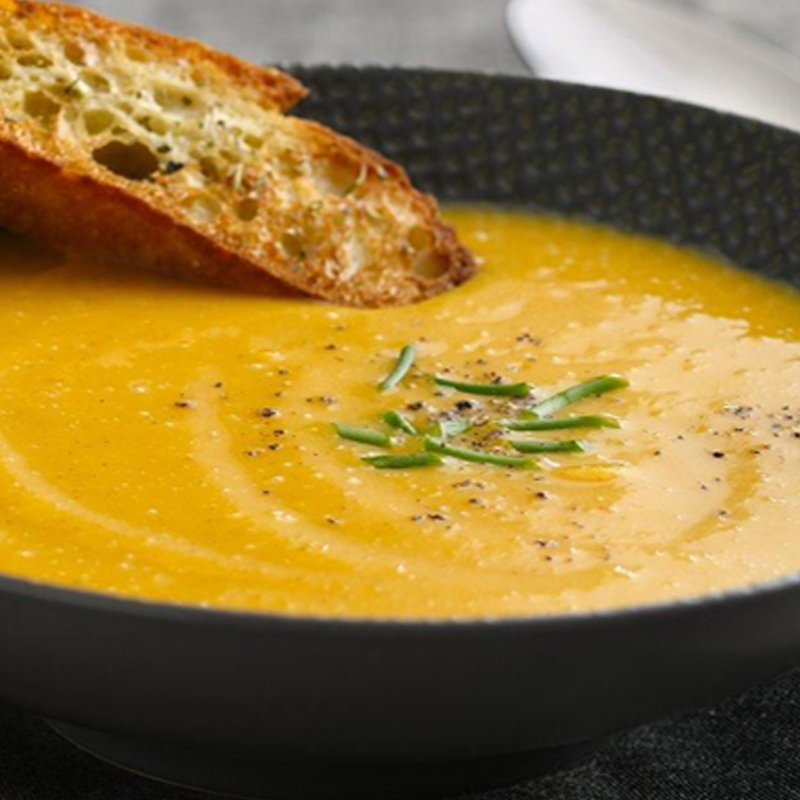 A delicious fall soup recipe with warm spices that your guests will enjoy! Prepare soup base according to package instructions and keep warm. Add broth, cover and bring to boil over medium-high heat. Reduce heat and simmer about 20 minutes or until squash is tender. In blender or food processor, place 1/3 of mixture. Cover and blend until smooth. Repeat twice to use up remaining soup. Return to Dutch oven, stir in milk and yogurt. Heat over low heat, stirring occasionally, just until heated through. Ladle into bowls and sprinkle with chives. Garnish with a dollup of plain greek yogourt and chopped fresh parsley.